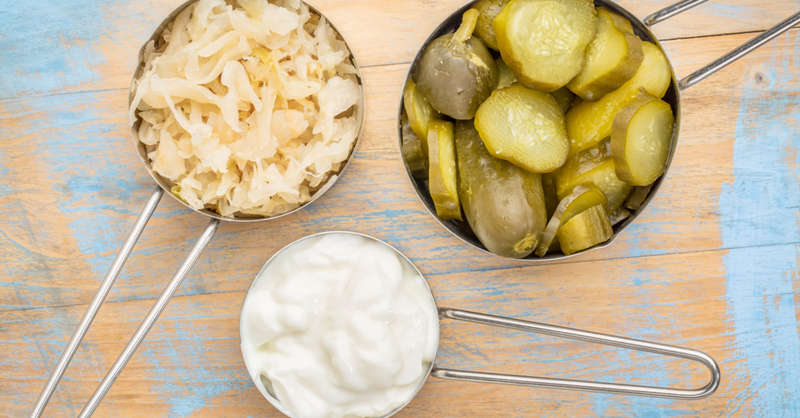 Fermented foods might not sound all that appealing, but they're incredibly important for our overall health. Way back --before we had the luxury of modern refrigeration -- canning, preserving, and fermenting foods were the best ways we had to store food for maximum shelf life. However, with the invention of the refrigerator, we’ve all but lost our traditional practice of fermenting food. After all, if we can keep our food cold and fresh, what’s the use of fermenting it? Fermented food is extremely healthy for our gut. Yogurt is a commonly eaten fermented food which is a great example of a food that’s good for gut health. Fermented foods contain massive amounts of probiotics that help keep our digestive systems working and functioning properly. Probiotics are the good bacteria -- and they are crucial to our health and wellbeing. Probiotics help control and regulate the balance of good and bad bacteria in our gut, which maintains a balanced gut microbiome, so that we FEEL our best. When things go out of balance in our gut, we experience all kinds of negative symptoms ranging from general discomfort, gas, bloating, and nausea to even more serious conditions, if left untreated over time. That’s why it’s important to make sure that we’re consuming a variety of fermented foods on a regular basis. This keeps things in check. There are lots of different types of fermented food. As stated before, yogurt is a good place to start for those that are new to fermented foods. Odds are, you’ve tried yogurt before and you may already enjoy it. A lot of people are generally put off by some of the other fermented food options such as: sauerkraut, kombucha, kefir, etc. Start with a good quality, sugar-free yogurt and work your way up to the more beneficial types of fermented foods like homemade sauerkraut. This homemade fermented food is jam-packed with billions of vital probiotics. It’s very simple and easy to make, and it usually lasts for quite some time. Kefir is another good option. Kefir is a fermented drink made from milk, and is one of the richest sources of probiotics you can find. It has amazing health benefits and has been known to improve conditions such as leaky gut. There are a few different styles of kefir. It can be made from cow’s milk, goat milk, non-dairy milk, or even coconut water. It’s been consumed for many years traditionally and it’s pretty simple to make at home yourself. Fermented foods are incredibly important for maintaining a healthy gut. Your gut plays an important role in regulating mood, ensuring a healthy immune system, and of course, processing your food while absorbing vital nutrients. Having an unhealthy, unbalanced gut can wreak havoc on your overall health. If the gut lining is damaged, we have a much harder time absorbing nutrients from our food. After some time, this can lead to nutritional deficiencies and a range of other health issues and immune disorders. Consuming fermented food is a great way to make sure the lining of the gut stays protected and healthy enough to absorb the essential vitamins and minerals we need to function. Our gut is home to trillions of living bacteria. But don’t worry, the majority of these bacteria are there to help us stay healthy and feel our best. 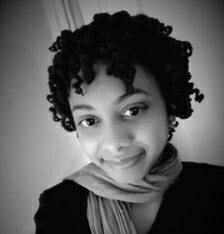 About: Renee Lewis is a freelance writer specializing in natural health and wellness. Throughout the course of her career she has covered many topic ranging from health and wellness to investing and opening IRA's. She's turned her focus to health and wellness because it reflects the way she chooses to live her own life. She has dedicated her career to helping others achieve their optimum state of health. Follow her on Twitter here or email her to write for your business at writerreneelewis@gmail.com. For more information visit: Writerreneelewis.com. I think it's important to stress that the flavor of home made sauerkraut is much milder and tastier than the commercial versions! Commercial - I can take it or leave it, but my home made is pretty good! Thank you for a great article. I make my own kefir from oat milk and find it very beneficial. In the photos with your article you show pickles and I think sauerkraut. I wonder about the sodium content - is there a way to ferment without using a lot of salt?